The print edition of the Merck Veterinary Manual is more than 3,000 pages long. The digital version contains all the content and more. 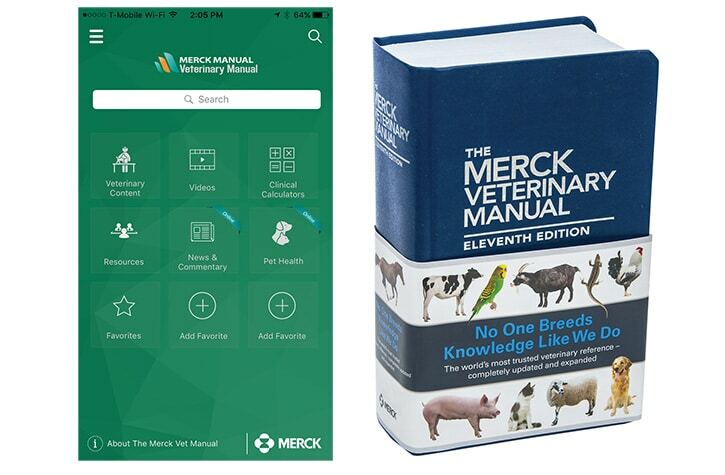 The Merck Veterinary Manual, a key reference guide for veterinary professionals around the world, is now available for free to everyone — the public included — through a mobile app. The updated, digitally enhanced app version can be downloaded to Apple devices at the App Store and to Android devices at Google Play. But beware: The content, totaling about 57 megabytes, is stored on the mobile device. The publisher, Merck & Co. Inc., is offering the giveaway as a public service, a spokeswoman said. “The user experience on the digital platforms is not compromised by advertising or promotional messaging,” she added. 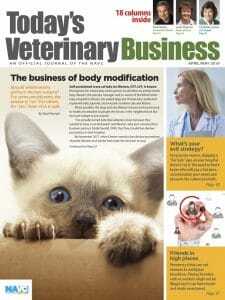 Thousands of topics written by more than 400 veterinary experts from more than 20 countries. Thousands of photos, illustrations and videos of disorders and diseases. Numerous reference guides and hundreds of useful tables. “Both the online reference and the app are based on the latest edition of the book, but the digital platforms are enhanced by multimedia content, interactive tools and more,” said Scott Line, DVM, Ph.D., DACVB, editor-in-chief of The Merck Veterinary Manual. The content also may be accessed at www.merckvetmanual.com. The 11th print edition, introduced in July 2016, remains available for purchase.